Practise sight words while you learn all about where animals live! These delightful first books focus on essential words to build basic literacy. As children explore the home lives and habitats of favourite animals from all around the globe, a simple text encourages them to repeat common high-frequency words, consolidating first literacy skills. 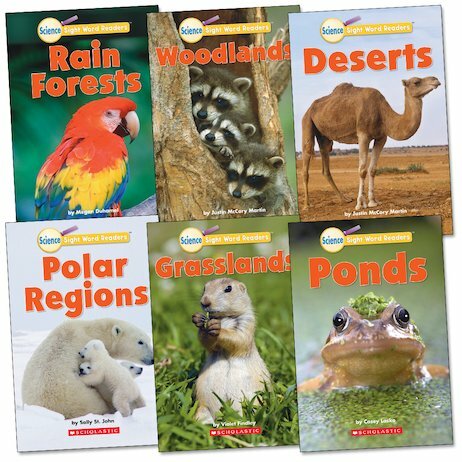 Pick up amazing facts, admire beautiful wildlife photography and get on top of those all-important sight words!